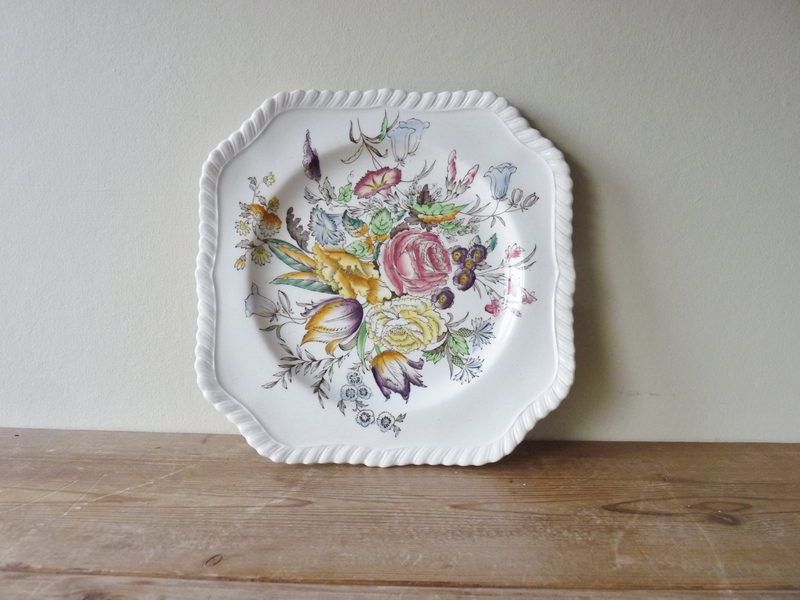 This little square side plate measures 7.5″ and is in very good vintage condition with no chips or cracks. 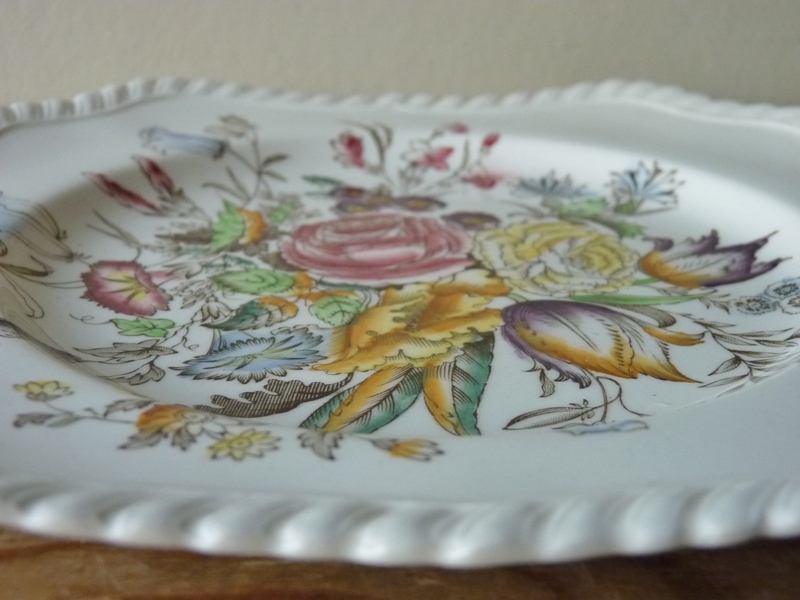 Beautifully decorated with the GARDEN BOUQUET pattern which was made from an engraving and hand-coloured. 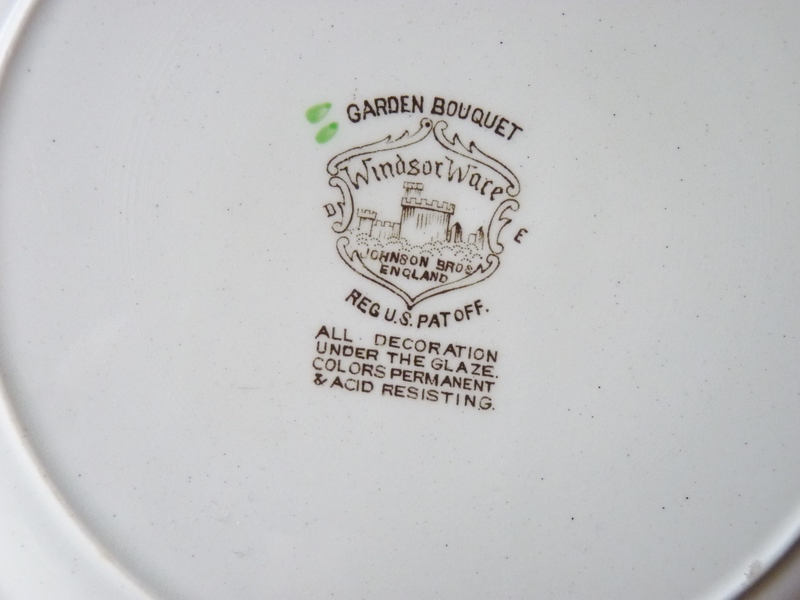 They were Manufactured from 1940-1970 by Johnson Brothers, England as part of their Windsor Ware collection. 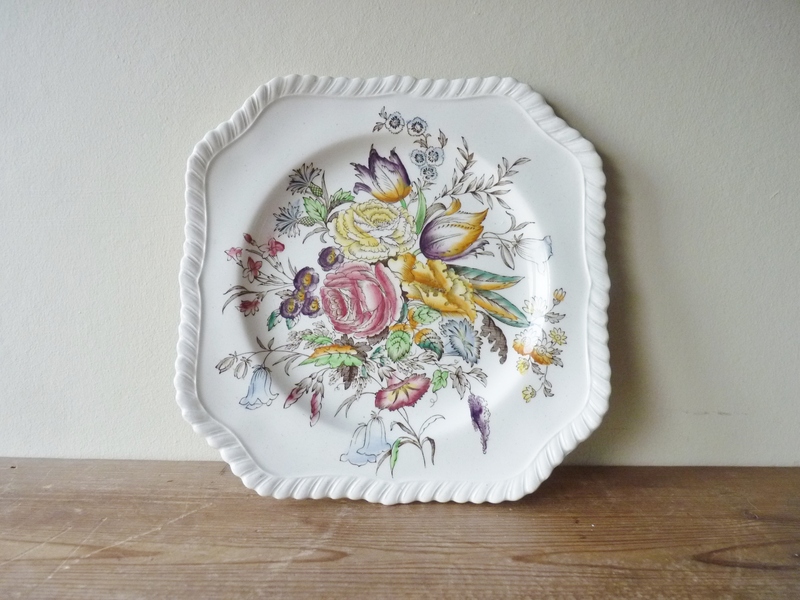 Each piece has a hand-tinted underglaze making the bright yellows, blues and pinks permanent and acid resisting. 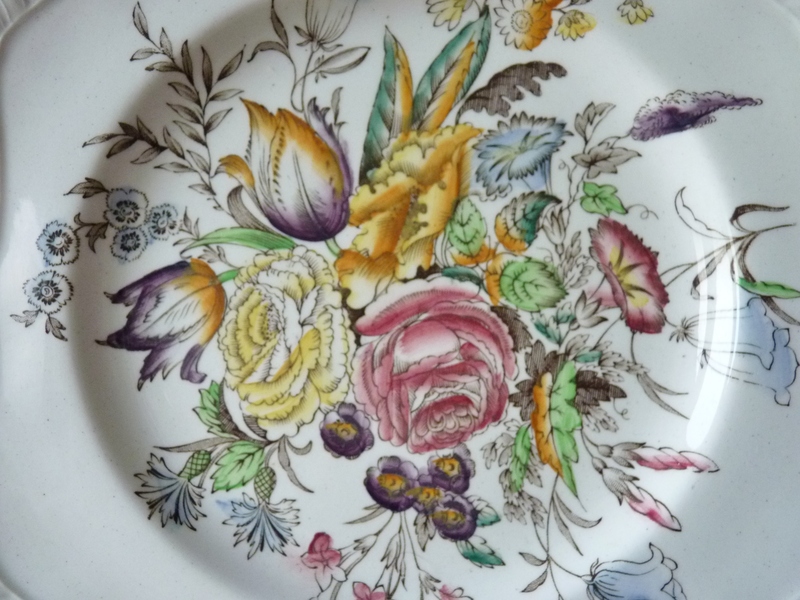 This design, although quintessentially English, can mostly be found in the United States so possibly made for the export market. The rope edging and floral design make it perfect for display or to serve fondant fancies for a forties or fifties tea party. 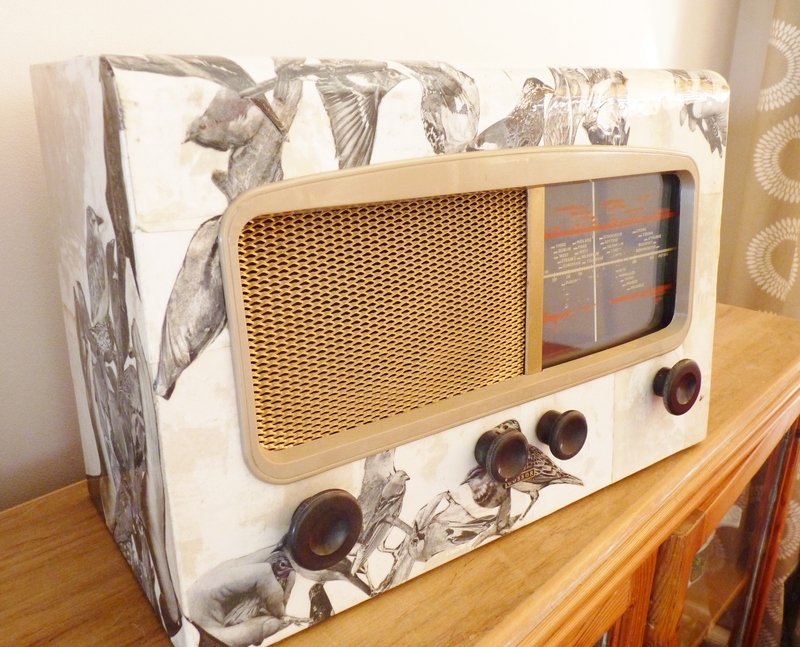 We’ve finally got round to rescuing a wonderful radio, created by architect-trained designer R D Russell. 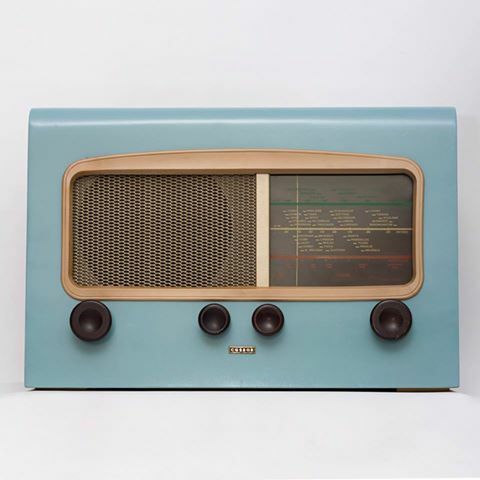 This radio is one of a range of Modernist radio cabinets designed for the Murphy Radio Company and recognised as an iconic design. 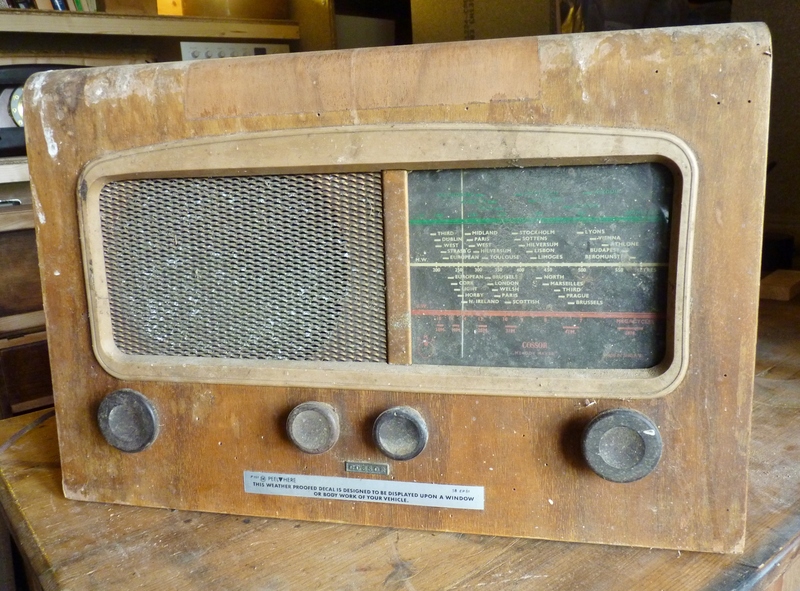 Unfortunately, as you can see, we found it in a rather poor condition but I’m hopeful that with a bit of hard work it can be restored to its former glory. The designer Richard Drew Russell was born in England in 1903. 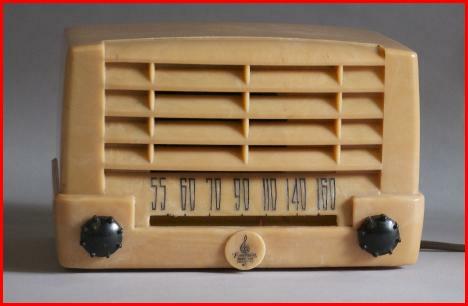 He was responsible for designing cabinets for The Murphy Radio Company throughout the thirties. Russell’s cabinets reflected his passion for design and craftsmanship and were built from the best materials. 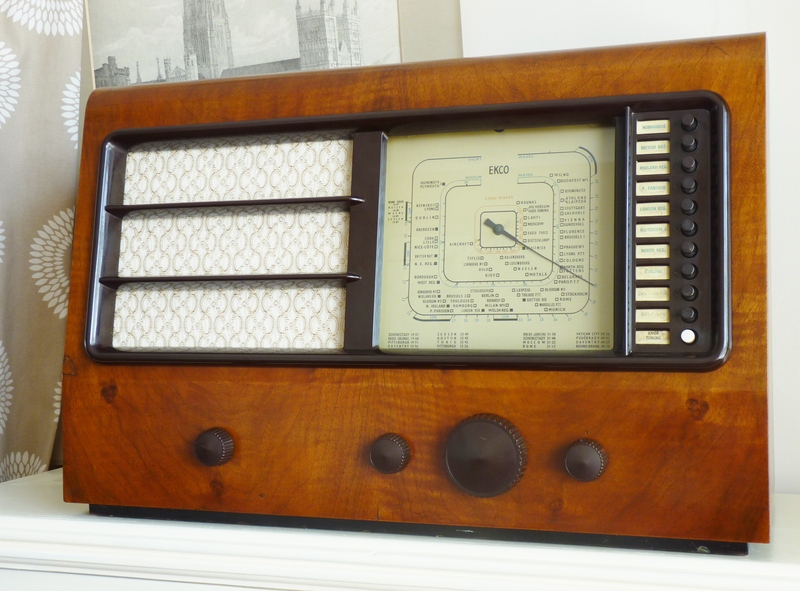 The wooden cabinet of this radio is no exception, being made from the walnut favoured by cabinet makers for high-end furniture. 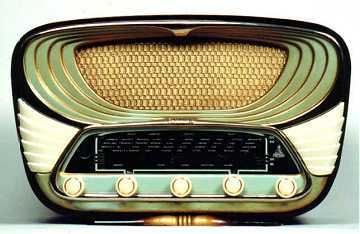 In contrast, as part of the modernist design, the sides are painted black and highly polished. 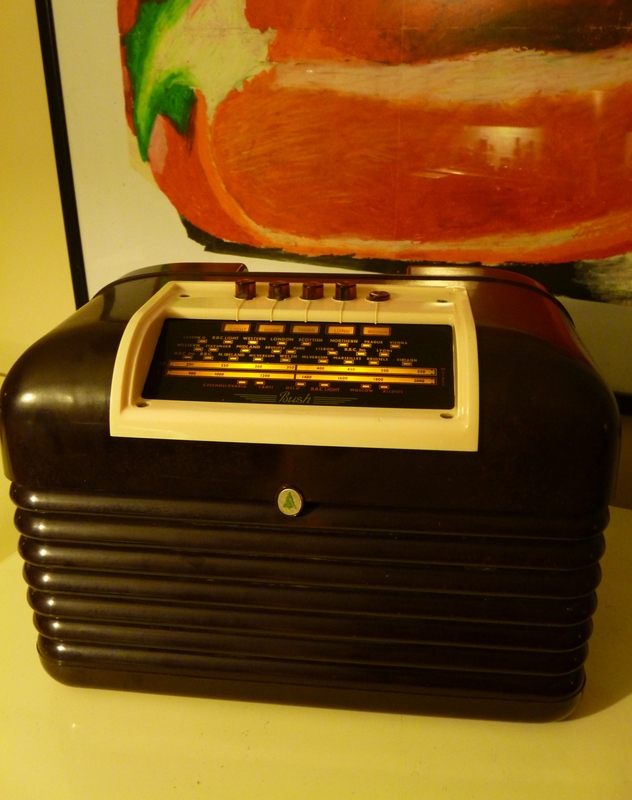 The radio could originally have been purchased in 1937 for the princely sum of £6 10s 0d. 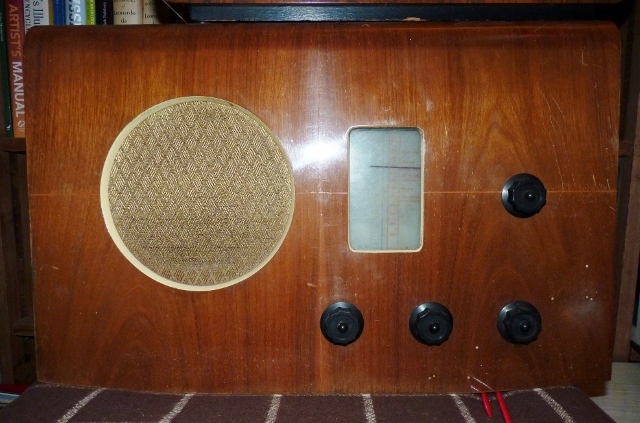 Its cost today, seventy six years later, will very much depend on how many hours I have to spend stripping, sanding and refinishing. 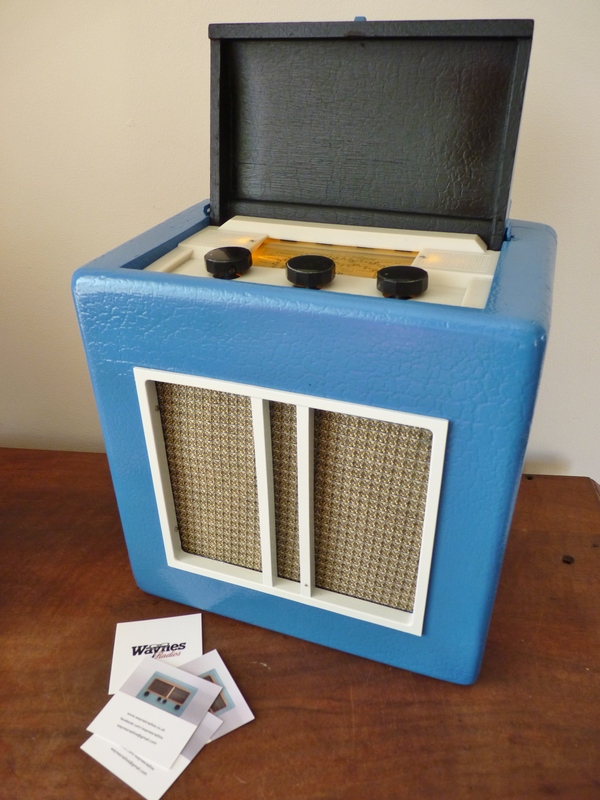 Although it will obviously also be a labour of love. I’ll keep you posted. 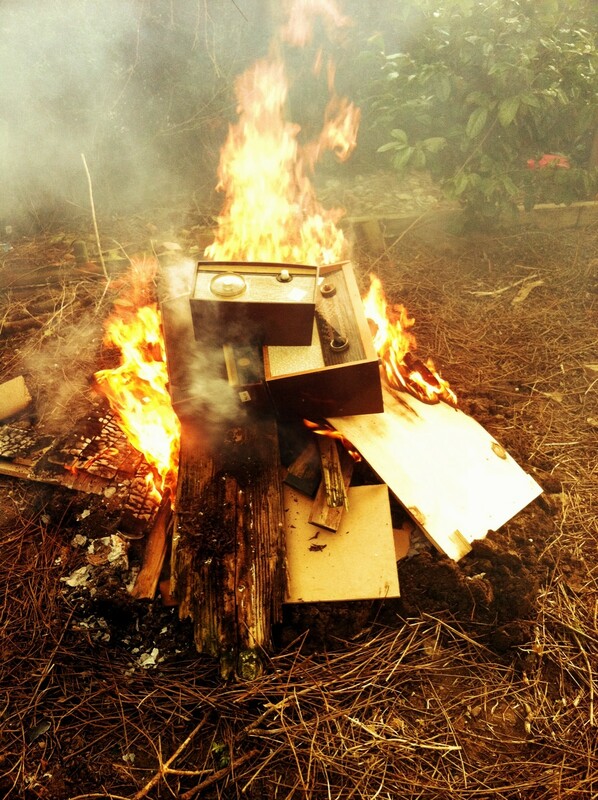 I’m not sure if it was because of the long winter weather, or a sudden urge to let something go, but we had a bonfire. 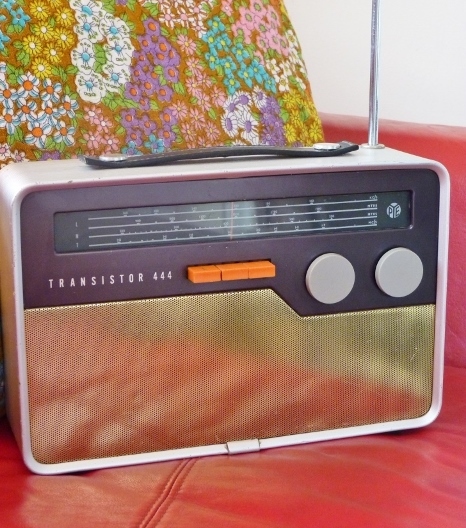 We usually pride ourselves on rescuing every radio, rising to the challenge, but this time we had to admit defeat. This sad looking lot were riddled with woodworm and downright dangerous and the bonfire saved petrol on a trip to the tip. Being peculiarly British, it turned into something of a party, just a shame we didn’t have any fireworks and could go the whole hog.